After representing elite hockey players for several years, Chris founded Momentum Hockey in 2011, recognizing the need for increased focus on player development as well as the need for better servicing for the next wave of star hockey players. 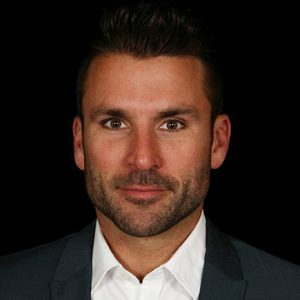 As Founder and President of the agency, in addition to being an NHLPA Certified Agent, Chris’ duties include contract negotiations, working in conjunction with the agency’s wide range of partners to ensure all players receiving outstanding servicing, as well as managing Momentum’s hockey operations team. Since forming Momentum Hockey, Chris has gone on to negotiate multi-million deals for his professional clients while spearheading one of the fastest growing agencies in the industry. Chris has over a decade of experience representing and managing the careers of elite hockey players. Prior to this, he worked as an advisor with Scotia McLeod, one of Canada’s largest wealth management firms, where he managed the portfolios of high net worth clients. He has been able to transition the knowledge and expertise he gained at Scotia over to Momentum, allowing for the agency’s clients to be well prepared in all financial matters, including investment management, tax planning and estate planning. His desire to go above and beyond to service the needs of all of his players, and to always demand the same of his staff, has allowed Chris to make his mark in the industry. His outgoing nature coupled with his strict adherence to keeping all professional and personal matters of his players confidential provides Momentum’s players with both confidence and peace of mind. These traits, along with his undeniable eye for talent, has allowed him to recruit several current NHL players as well as some of the game’s next generation of premier players. Above all, he strives to provide all of his players with the tools to maximize their potential and to be able to enjoy their success. Chris’ passion for the game of hockey drove him to become an agent, as he was determined to play an integral role in the game. An elite hockey player himself in his earlier days, he played four years in the Quebec Major Junior Hockey League (QMJHL). During the 1997-1998 season, he played a significant role in helping the Val d’Or Foreurs reach the Memorial Cup, and the following season, he was named team captain. Following his hockey career, he pursued his undergraduate studies at HEC Montreal. Chris was born in Ottawa, Ontario but was raised in Montreal, Quebec. He currently resides in Boisbriand, Quebec and has two children: Chloe (14) and Milan (7).